Final beer of the day for now. Kilkenny is a fantastic Irish Cream Ale that uses nitrogen taps to keep the head nice and smooth. I think if you stare at the glass long enough while the head is settling out, you can probably see into the future. The color is a nice dark brown, but still opaque. There is a faint coffee taste in the back of the mouth, with some roasted chocolate notes testing their magic. 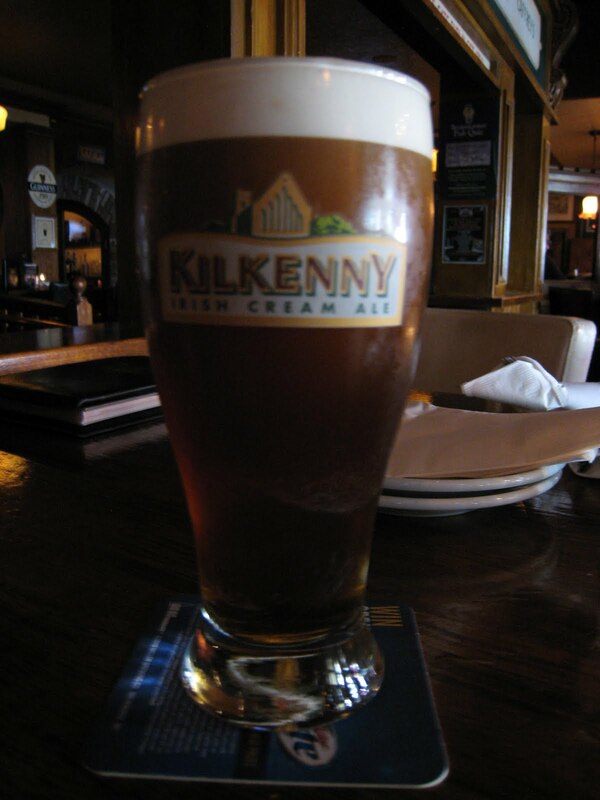 It is way creamier than boddingtons, and it is one of my favorites at Dublin Square. I think I had three of these last week before I started this blog. A definite repeat.